Westfield – This summer, Westfield youth will be able to attend camp in Pennsylvania, regardless of financial ability, due to a grant for the scholarship fund for Camp Speers-Eljabar. The camp, as well as 5 other community services, was granted funds totaling $38,224 for the first quarter, 2013. Projects include the West 7th Street Village project, support for musical concerts, a youth empowerment services program, and a caregivers’ respite program. The first quarter recipients include: Oratorio Singers of Westfield, the Westfield Symphony Orchestra, Camp Speers-Eljabar YMCA, Alzheimer’s Association, Youth and Family Counseling Services and Habitat for Humanity. The work of the Foundation can only be fulfilled due to the donations of the community. The Foundation quietly runs an appeal drive at the end of the year. This year, almost $30,000 was raised for the unrestricted fund. Additional donations were collected, for donor advised and memorial funds, in the amount of $382,000. One of the largest contributions was from the estates of Lydia E. Hoffart. The Foundation encourages creating an individual family fund, which makes it possible to leave a permanent legacy for your philanthropic interests. You can build a lasting legacy and perpetuate the name you select for the Fund. 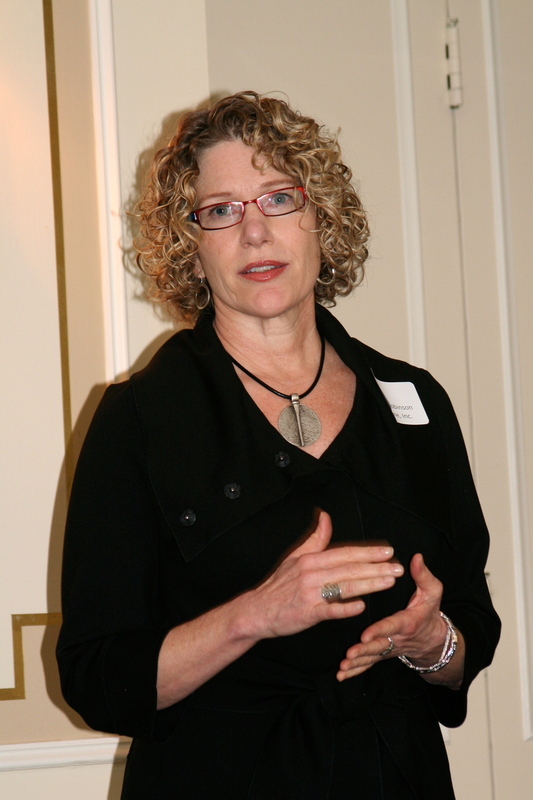 Mary Robinson, the Founder and Executive Director of Imagine, spoke to current and former trustees at the annual cornerstone meeting in December. Imagine is a year-round grief support center for children and adults located in Westfield. Imagine received a $15,000 grant in early 2012, which was ear marked as seed money for the start up of Imagine.